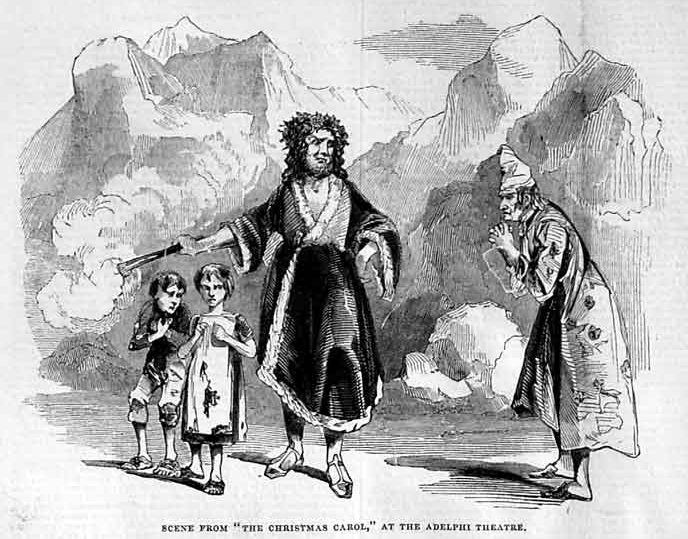 The Christmas Carol; or, Past, Present, and Future was sanctioned by Charles Dickens and written by Edward Stirling. O. Smith played Scrooge and R. Hughes was the Ghost of Old Jacob Marley. An arrow shot by Virtue--barb'd by Wit.